Wedding Invitation inspired by delicate twine and paired with bold typography. 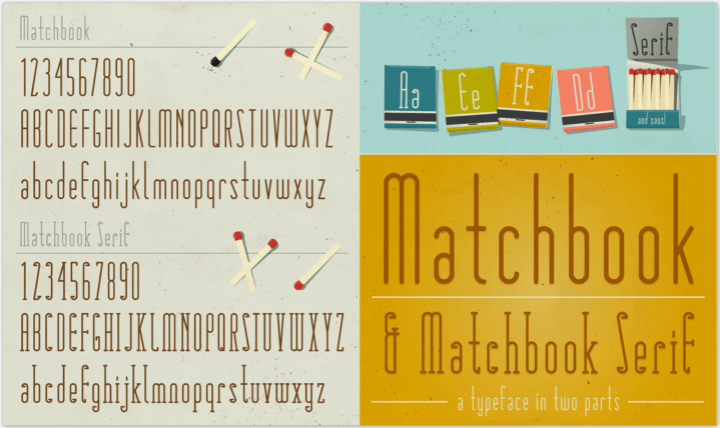 Matchbook is a simple and functional set of two typefaces designed by One by Four. It is available in a serif and sans-serif. Each set includes all accented characters and works beautifully in larger scales. Matchbook is free for both personal and commercial use so feel free to use it in any wedding project you like. You can download it for free here.